The Wrathstone DLC comes with two new dungeons, the Depths of Malatar will take players to an ancient Ayleid ruin hidden beneath a secret Imperial fort, and Frostvault, a Dwarven Vault filled with traps, automatons and goblins. 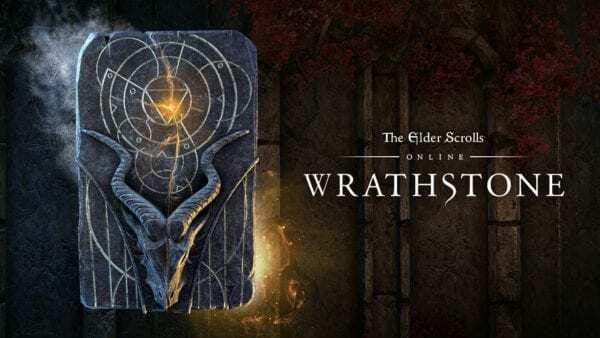 Both these new dungeons will hide the two halves of the Wrathstone tablet which is the key that Abnur Tharn eventually uses to open the Halls of Colossus, which also accidentally unleashed the dragons upon Elsweyr. Both of these new dungeons can be completed in Normal, Veteran and Veteran Hard Mode difficulties and rewards will include powerful new item sets and unique collectables, including a new skin and a non-combat pet. Releasing alongside Wrathstone is Update 21 which will bring a series of improvements and new features, including a new Battlegrounds map and PvP rewards, Passive Ability changes and a Guild Trader update. Wrathstone is available now on PC.